The brown pigment spots on your face are most likely solar lentigines. Also referred to as age spots, these skin lesions are a result of sun exposure. With age, the repeated exposure to ultraviolet rays can cause melanin, a compound responsible for pigmentation as well as protecting the skin, to cluster or clump together, forming an area of hyperpigmentation anywhere between 0.2 and 2 cm in size, explains the American Osteopathic College of Dermatology. Normally, these brown pigment spots aren't a cause for alarm, but they can be treated to minimize their appearance on the skin. Start using a hydroquinone cream, which is usually safe according to the National Institutes of Health. This skin bleaching agent can destroy the melanin and thereby remove the brown spots of pigmentation from your skin. Take care to only apply it along areas of hyperpigmentation, since hydroquinone can cause a lightening of the surrounding skin or a skin reaction in some people. Pick up a prescription for a topical retinoid, advises the American Osteopathic College of Dermatology. If hydroquinone fails to fade age spots, a retinoid can destroy the clustered melanin and reduce the darkness of age spots. Always follow the instructions given by your dermatologist when using this topical medication. Talk to your doctor about cryotherapy. The Cleveland Clinic offers this option to improve the appearance of age spots, stating that the application of liquid nitrogen can effectively destroy the melanin causing the brown spots on the skin. Make an appointment for a chemical peel. 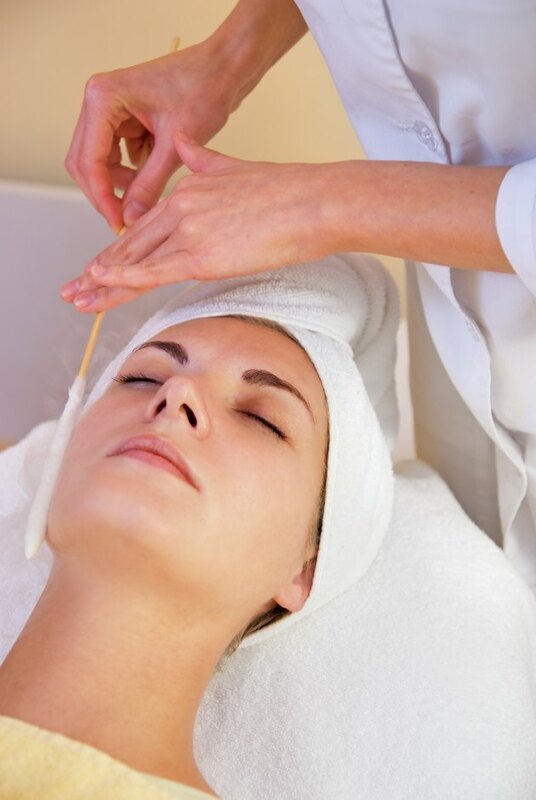 Chemical peels use an acidic agent to remove the surface layer of your skin. The healing process causes new skin to form that lacks the clumps of melanin responsible for age spots. 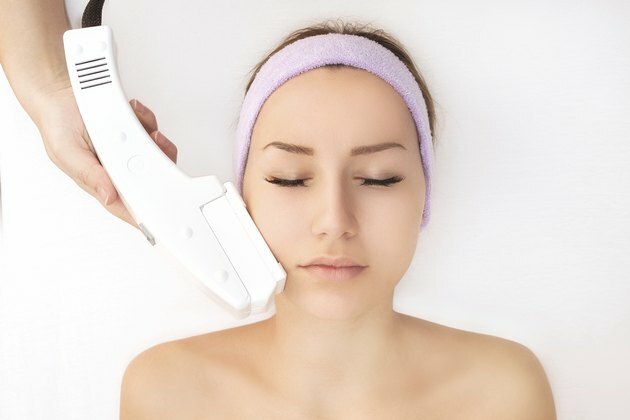 Fade lentigines with dermabrasion. Much like a chemical peel, this cosmetic procedure removes the surface layer of your skin. But instead of an acid, a rotating brush sands away the epidermis of your face, leaving a controlled wound. As the area heals, new skin forms that lacks the melanin clusters. Undergo laser therapy. With laser therapy, the light energy applied to the skin actually breaks up the melanin, causing the brown spots to fade. It may take a series of treatments to fully remove the age spots on the skin. Both the American Academy of Dermatology and the American Osteopathic College of Dermatology recommend taking measures to prevent age spots from forming. This includes use of a daily sunscreen with a sun protection factor of at least 30 and broad-spectrum protection from both ultraviolet A and ultraviolet B rays. Mature skin is more susceptible to the effects of the sun than young skin. If you are over 40, you should wear a hat outside and steer clear of the sun during peak hours, which is anytime between 10 a.m. and 4 p.m. Mature adults should do a full-body check for moles or other skin lesions that change in color, shape, size or texture. Any of these symptoms should be monitored by a medical professional for signs of melanoma, a form of skin cancer.